My name is William Londo (though everyone calls me "Bill") and I assumed the editorship of the reviews section of the AEMS newsletter in June of this year. I am trained in history and consider the Department of History at Oakland University near Detroit my "home," but I also teach courses in East Asian religion at Michigan State University. My area of expertise is the history and religions of Japan, but a four year stint as Associate Director of the Michigan State University Asian Studies Center pushed me to learn more about other parts of Asia. I still have much to learn, however, and I will be relying heavily on the knowledge and experience of many experts on various parts of Asia to provide reviews for News and Reviews. I welcome your input on the newsletter and I am especially seeking reviewers and recommendations for media we might review. If you have seen a media presentation (film, website, etc.) that you believe should be more widely known, please contact me so that we may include a review of it in a future issue. We are willing to review any media, old or new, that might be useful in teaching about Asia and that we haven't already covered in our previous issues. I can be reached at londo@oakland.edu. For those who receive our newsletter in the Urbana Champaign area, please note that our AsiaLENS documentary and independent film series will present two screenings of A Grandpa From Brazil, reviewed in this issue. Opening the series on Tuesday, September 11 at 7pm at the Spurlock Museum, the film will conclude with an online discussion with the filmmaker. A full listing of screenings and links for more information follow the reviews in this issue. Finally, let me draw our readers' attention to two short video, both available on YouTube, that have been brought to the attention of AEMS by the Consulate General of South Korea in New York. One is "The Name: 'East Sea'" and the other is"The World Map is Changing: Korea's East Sea." Both give discussions of the name of the body of water between Japan, Korea, and Manchuria that is commonly designated on maps today as the Sea of Japan. These short pieces lay out the history of how it came to be called such and advocate changing the name to "The East Sea," which is how it is typically referred to in Korea. Educators teaching middle and high school geography, social studies, and history might find these useful in showing that the work of mapping is not as simple as it may seem, and in showing how geographic names can become a source of political controversy. In English and Chinese with English Subtitles. Reviewed by Shelley W. Chan. The opening remarks of this documentary best summarize Mao Zedong's (1893-1976) influence in China, both before and after his death: "He was a man of many faces: revolutionary hero, a godlike figure to the people, and a pop icon to the world. 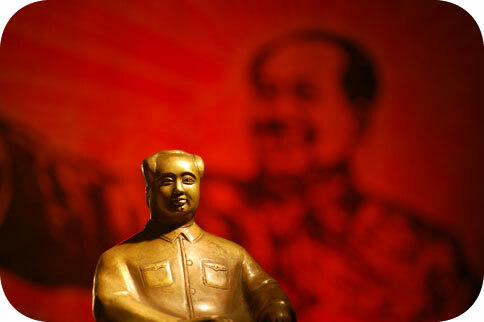 Mao's image would control a nation for over half a century, and even in death, his presence lives on." 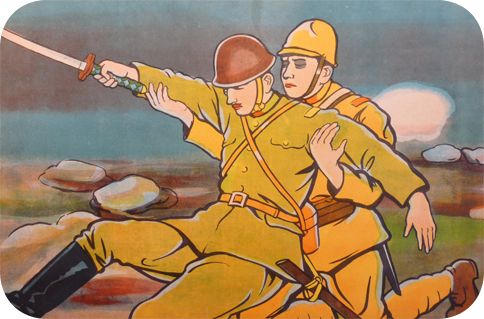 Focusing on propaganda art, Making Mao reveals how art served the only one purpose, namely, the promotion of the Communist Party and its goals, in Mao's China, and how the image of Mao as the supreme leader was made in a half-century of revolution. The blind personality cult that resulted served to promote Mao as a god: in short, making Mao was the making of God in the Chinese context. Art is powerful because it can change the way people think and live. The Chinese Communist Party (CCP) was certainly well aware of this. As a result, their propaganda effort is the largest in the world to date, and nowhere else is it as pervasive as in China, according to the film. The documentary shows how different art forms, including woodcuts, paintings, posters, music, opera, etc., were employed to serve the political purpose. Directed by Jeffrey Dyn. 2012. 17 minutes. Kamishibai (literally, "paper plays") are a form of entertainment unique to Japan, and therefore little known outside of that country. In cities and towns throughout interwar and postwar Japan, it was not uncommon to see a group of children clustered around a storyteller (usually male, but occasionally female) with a wooden box, about the size of a small television, lashed to a bicycle. The narrator would shuffle through a series of images visible through the box's backlit "screen," and read from text on the backs of these "slides." To keep it all lively, the narrator used a number of different voices, inflections, and sound effects-much like the puppet theater's gidayu and the benshi (silent film narrators) of earlier times-and kept his or her audience pumped up on cheap candies sold on the side. Although there likely were narrators who wrote, drew, and performed their own original kamishibai, most seem to have used professionally published materials. In kamishibai, then, we see the convergence of a number of indigenous theatrical, pictorial, and storytelling traditions with modern mass media technologies and marketing methods, providing a cheap alternative to the more sophisticated cinema. As an introduction to this medium, Jeffrey Dym's Die for Japan is very instructive. It provides many historical images and some contemporary film footage depicting both elder performers and young revivalists at work. Because it is both a visual and aural performance genre, kamishibai must be seen and heard to be understood, and Die for Japan has immense educational value for enabling us to do that. Directed by Nanako Kurihara. 2008/2011. 58 minutes. Reviewed by Cindi L. SturtzSreetharan. "Brazil is good for having fun; Japan is good for making money" states Mr. Narimatsu, one of 312,000 Brazilian Nikkeijin (immigrants of Japanese ancestry) living and working in Japan. He and his wife run an obento-ya (lunch box service) and restaurant that caters to Brazilians working in Shiga prefecture, Japan. Grandpa Konno elicits this insightful comment when he asks Mr. Narimatsu if he is able to save money in Japan. 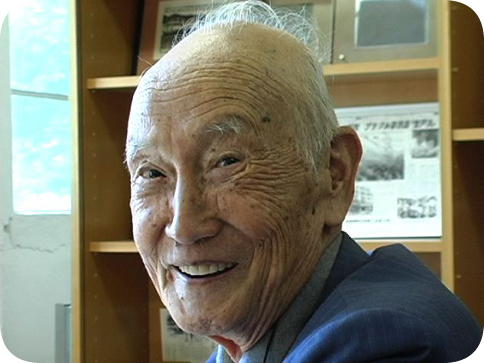 The film, A Grandpa from Brazil, holds many gems such as this one; the unusual (and perhaps accidental) ethnographer is 92-year old Ken'ichi Konno, a Japanese Ã©migrÃ© to Brazil in 1931. He steadfastly returns to Japan for about a month each year to "get some distance from Brazil, to understand what's going on there and to see how Japan is doing." The film follows one of his trips back to Japan to check on Brazilian workers and their families, make connections with Nikkeijin related non-profit organizations, and visit public sites (such as museums) which are of importance to past and current emigrants and immigrants. One of the main strengths of this film is the way the camera captures the empathy and caring that Grandpa Konno extends to the people with whom he interacts.